Head of School David Dobson-Smith works with Fort Mason middle school students. ‍Our educators do more than impart knowledge, we provide students with the opportunity to develop skills that will help them plan, face challenges, adapt, and take ownership of their learning. 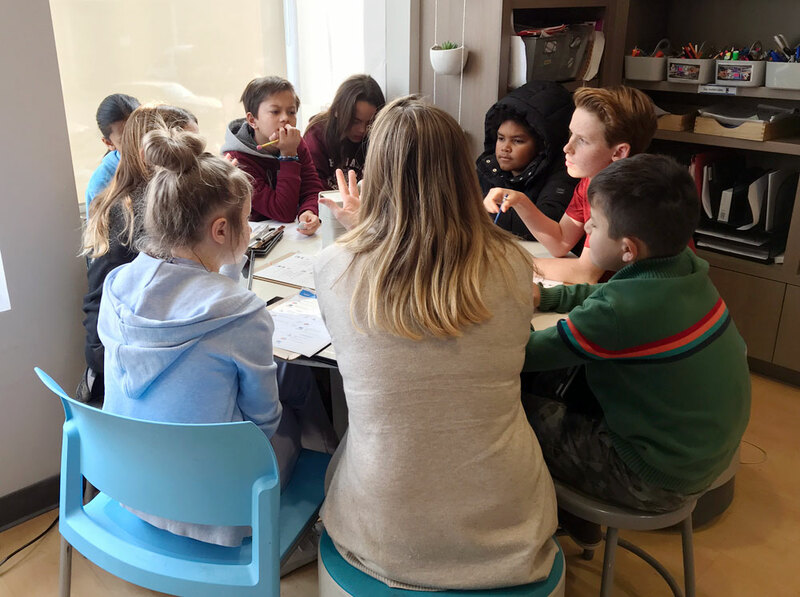 In part one of this two-part series, Head of School David Dobson-Smith shares how we designed and implemented a system to achieve this vision at AltSchool Fort Mason. As working adults, we not only have to execute our daily tasks, we have to figure out the meaning and context behind what we do. For most of us, that requires setting a vision, planning, prioritizing, working independently and collaboratively, regrouping, and reflecting. Rarely do we find a clear path laid out for us for a single day, much less for a month or year. School needs to prepare students for success in this dynamic world and that is exactly what we are doing in our classrooms. At AltSchool, students experience school in a way that is aligned to the modern world. 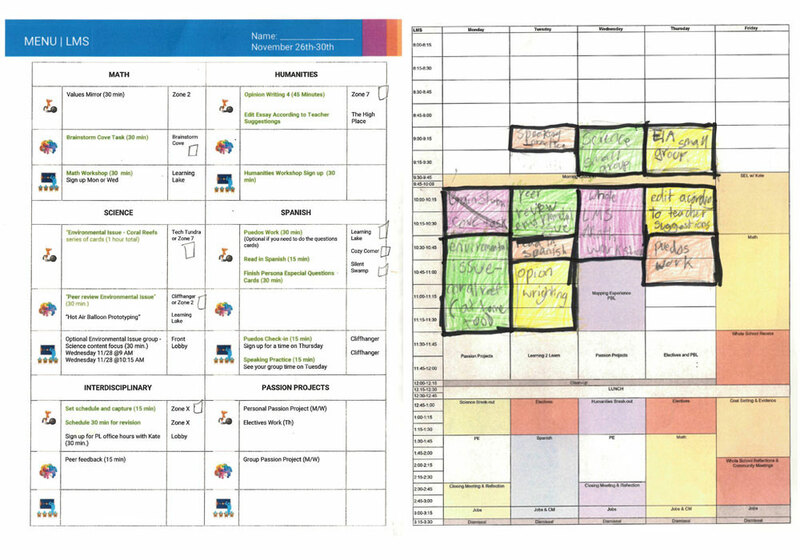 At AltSchool, students build skills like time management and prioritization. At AltSchool Fort Mason, middle school students are given a “menu” of required and optional assignments every Friday. They use this menu to reflect on their progress in the current week—successes, challenges, and adaptations needed—then prioritize their tasks and designate time to work on them in the coming week. They sign up for educator-led seminars to better understand the subject matter, coordinate time to work with peers on collaborative projects, and select optional supplementary activities that interest them. VP of Learning Colleen Broderick discusses the five elements of learner-centric education. 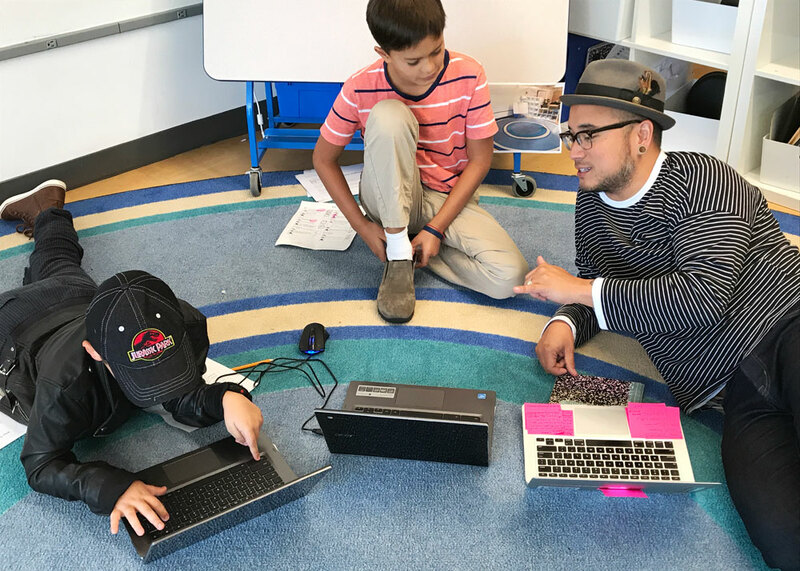 The road to this learning system was the collaborative effort of our Fort Mason educators—Erin Kahn, Tom Kramer, Bryanna Hanson, and David Rodriguez. It all began with this essential question: How do we give students the freedom to design their own learning while ensuring they are focused and using their time effectively? In the past, students had trouble creating relevant goals and making thoughtful progress during blocks of independent study time. But rather than succumbing to the temptation of reverting back to a traditional whole-group, lecture-style of teaching, our educators asked: Why? Students participate in a group seminar. Our educators are very thoughtful about where this type of system starts and stops. Each student receives foundational knowledge and skill training, and has an advisor who regularly checks in on his or her progress—both in skills and in core content areas. Students learn to be self starters, problem solve, adapt to roadblocks, and identify when to seek help from their support network.